It all has a hurried sense to it. With the offshore detention system running into troubles, the Australian government has had to find ways to get rid of the human residents it has promised never to settle in the country. This highly dubious policy, far more than anything Donald Trump could ever wish for, entrenches a further wall of imperviousness to refugee claims from those travelling by boat to Australia. This pickle has found form in what has been deemed a “one off” deal with the United States. Desperate to move refugees off the Manus Island facility after the Supreme Court of Papua New Guinea gave it a legal drubbing, officials in Canberra were keen to find a country – almost any other country – to take them. The Obama administration has provided a helping hand, when it might have done better telling its small, insular ally that they would be far better actually taking the refugees themselves. But the modern economy of refugee swamps, resettlement and movement is specifically designed to evade the now less than holy United Nations Refugee Convention. According to the US Secretary of State, John Kerry, referrals from the UN refugee agency would be considered. “We are going to work to protect vulnerable refugees around the world, and we’ll share that responsibility with our friends in the regions that are most affected by this challenge.” Australia hardly counts as being affected, but we live in post-truth times. Speed was of the essence, though even here, contradictions proved gaping. For Turnbull, the deal is being made with the Obama administration, and worries about the incoming president are irrelevant. But the polemics of the President-elect have worried the deal makers, giving the impression that much of this is a theatrical gesture for domestic consumption. A Donald Trump administration might have frowned upon the arrangement and repudiated it. This is irrespective of the current screening procedures for entry into the United States, which could take anywhere between 18 to 24 months. Fortress Australia may well be a fine concept for those who man its fences and borders, but Fortress America is a far more disconcerting, and arbitrary prospect for the arrangement. As the New York Times ventured, any such resettlement is unlikely to happen prior to Trump taking office. Michael Pezzulo, secretary of the Australian Immigration Department, had already outlined his views to an Australian Senate panel that resettlement in the US prior to January 20 next year would be unlikely. 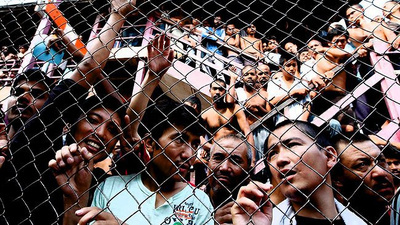 The options for the 1,300 held on Nauru and Manus are few and far between. Some have made the decision, and subsequently regretted it, to settle in PNG proper and Cambodia. Canberra has also been mining other options as distant as Kyrgyzstan. All have problems with infrastructure, finance, and suitably for resettlement, suggesting that third country options must, by definition, be terrifying. For those refusing to jump on the US option, a 20-year Nauru visa would be available. This particular policy has a sinister aspect of interminable detention to it: remain on an under-resourced, impoverished island to live free from the persecution from the country you came from. The fact that such options seem to fly in the face of safety and appropriate protection unmasks the punitive nature of the system. United Nations envy François Crépeau has also added to this picture of propagandised cruelty, focusing on the conditions of mental degradation. “Mental health issues are rife, with post-traumatic stress disorder, anxiety and depression being among the most common ailments.” Bodies for propaganda; minds turned to mush. Persistently, the planners wish to internationalise a program born in the nursery of cruelty, engineered to dehumanise and repel. Those like Boochani become instruments of advertising, bruised and wounded for the broader cause of containing rather than assisting humans flee. Conditions of incarceration are re-enforced; forms of torture and brutality flourish. Not one government, or members of the international community, seem willing to initiate sanctions against a country which has, innovatively, shirked its responsibilities in protecting vulnerable populations while loading, redistributing and allocating these helpless bodies to even poorer countries. The underlying issue is that the Australian option is even admired in some circles in the United States and the European Union. Canberra stands responsible for paying the very smugglers it supposedly abhors, breaching the core refugee law provisions of non-penalisation, non-discrimination and non-refoulement. But the US-Australia arrangement is another facet of a ghastly, even archaic policy that seeks to prevent and deny the nature of the world’s global movements.